In the middle of moving into a new place, I made up some Cherry Chocolate Chip Chip cookies. I am dealing with reduced counter and cabinet space. 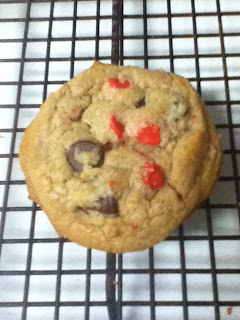 I made the cookies using the Toll House cookie recipe. 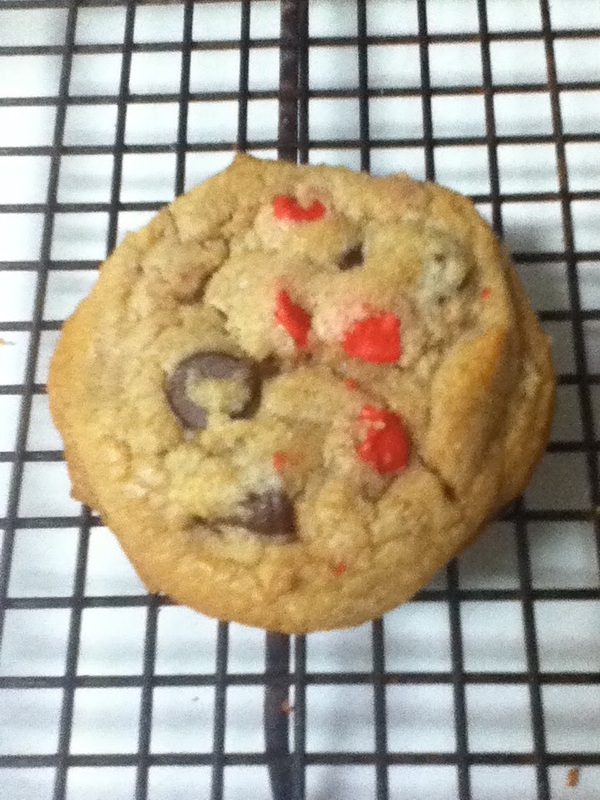 I added a 12 ounce bag of chocolate chips and a 12 ounce bag of cherry flavored chips. A really tasty cookie. Everyone who has tried them thinks so. Popping over from the Makobi Scribe group. These cookies sound wonderful! Hope you can follow back and don't forget to participate in my daily poll for fun new products! Giving you a +1 and stumble too! Best of luck! Hi following you now from Say Hi Sunday. If you can stop by www.familystitchery.blogspot.com. I've never heard of Cherry chips. Sounds good though! These look amazing! I've never used cheery chips, but I LOVE chocolate and cherries together. YUM! I would love it if you came by and shared some of your recipes with us at Cast Party Wednesday tomorrow. How could I have been living under such a huge rock and not know about cherry chips? Now the hunt is on to find organic, or at least all natural ones. I hope its not futile. Thank you for sharing this undoubtedly wonderful cookie at Joy of Desserts. :-) Have a great day. This looks delicious! I have never seen cherry chips before. Greetings. This is my first time on your blog, but you have a terrific one. I am always on the look out for new blogs, new ideas. and your new twist on a classic we all have made is exactly what I was looking for. And great photo! Hi! I'm having a bit of a beach brain lately so I'm sorry if I'm telling you this twice but I featured you on Savory Sunday yesterday! Have a great week! !